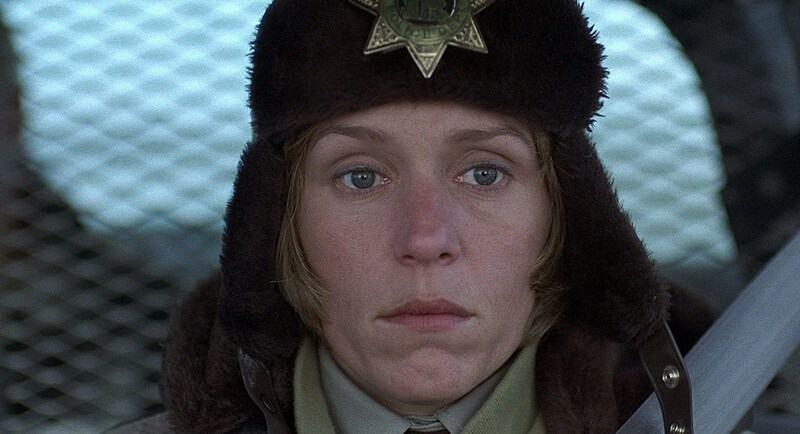 Fargo falls into the same traps that a few of the Coen Brothers movies do – it feels incomplete. From Burn After Reading to No Country for Old Men, I always feel like there should be more. The story that is told is very good, the acting is always great and the films are directed in clever, fresh ways but I feel like there should be more. The films always start strongly and Fargo is no different. It isn’t quite clear what exactly is going on and I’m not going to spoil the intricate details here but it involves a cowardly husband, a kidnap plot gone wrong and a very sweet-natured, slightly out of her depth sheriff. It is made up of plenty of key scenes, moving parts and intertwining plot threads that make for a compelling and clever movie. This is helped further by the great actors playing the parts. 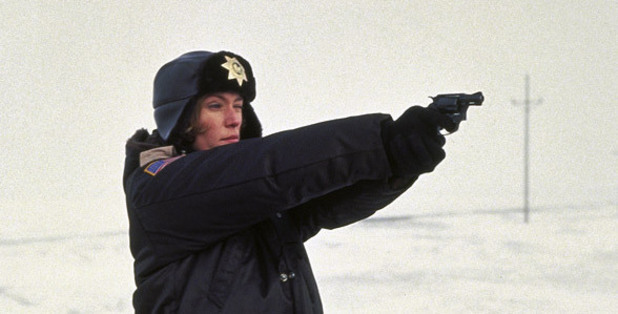 The central role is arguably Frances McDormand, who plays a small town cop caught up in the murder/kidnap plot. It’s a film of errors and slowly and surely she finds herself interacting with each other cast member but holding her head as the only sane person on-screen. With McDormand, you know it will be a quality performance and that it will be grounded in the “everyday reality” that her very natural approach delivers. This clashes, but in a positive way, with the chaotic events and cast that surround her. 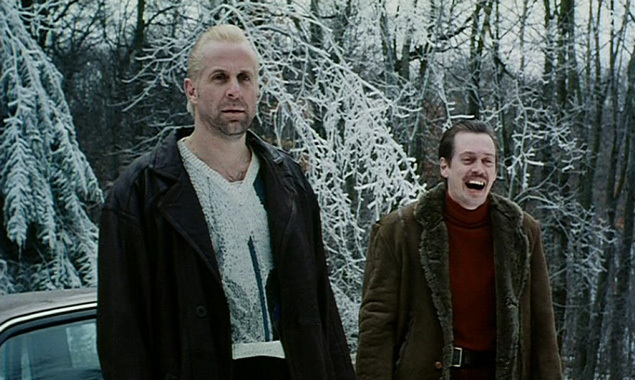 The kidnappers are played by a very unique double act, Steve Buscemi and Peter Stormare. They are chalk and cheese and their interactions are probably the best scenes in the movie. They certainly deliver the more iconic aspects of the film and you could easily have a spin-off of their own as the movie improves when they are on-screen. That doesn’t take anything away from William H Macy or Harve Presnell who deliver their usual, solid performances. They are hardly cast against type though. This doesn’t take away from them having some of the more comical scenes, especially as Macy’s life begins to crumble around him. This cast, with their intertwining elements, keeps the story moving at a fair pace and in some places it is very funny, or clever, or both! Unfortunately, it lacks the finale you’d hope for. Somewhere amongst the different, clever plot aspects, there feels like something is missing. It doesn’t need a neat conclusion, or a clever twist, but it should have a finale that suits the crazy events that preceded. Overall, Fargo is a very clever movie with a lot in intricate, intertwining plot strands. This makes for some very funny moments and the great cast, led by Francis McDormand, help deliver this movies central magic. Unfortunately, it suffers from an issue I think a lot of Coen Brothers films suffer from, a lack of direction in their plot towards the end, which didn’t really justify all that had gone before. Another Coen Brothers film that I just can’t quite get behind!